Hypertension is the term doctors use for high blood pressure. Blood pressure readings are measured in millimeters of mercury (mmHg) and usually given as 2 numbers. For example, 140 over 90 (written as 140/90). * The top number is your systolic pressure, the pressure created when your heart beats. It is considered high if it is consistently over 140. * The bottom number is your diastolic pressure, the pressure inside blood vessels when the heart is at rest. It is considered high if it is consistently over 90. If you have a severe headache or any of the symptoms above, see your doctor right away. This may be a signs of a complication or dangerously high blood pressure called malignant hypertension. Many factors can affect blood pressure, including how much water and salt you have in your body, the condition of your kidneys, nervous system, or blood vessels, and the levels of different body hormones. High blood pressure can affect all types of people. You have a higher risk of high blood pressure if you have a family history of the disease. High blood pressure is more common in African Americans than Caucasians. Most of the time, no cause is identified. This is called essential hypertension. 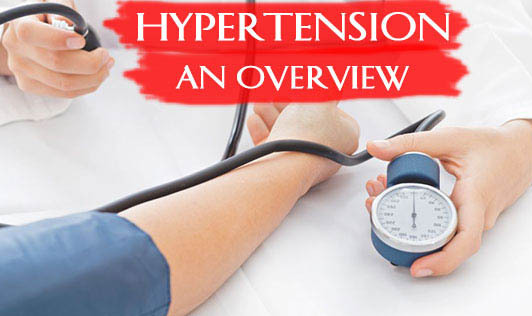 High blood pressure that results from a specific condition, habit, or medication is called secondary hypertension.